What is the Lose the Back Pain® System? Do the Lose the Back Pain® System DVDs play on machines outside the USA? How does the Lose the Back Pain® System work? Is the Lose the Back Pain® System a CURE for your condition? What do I get with the system? What conditions does the Lose the Back Pain® System help? How do I know the Lose the Back Pain® System is for me? What steps will I go through with the Lose the Back Pain® system? What if I’m in to much pain to do anything? Is the Physical version and the Online version the same? Can I be too old or too young to use the system? How long does it take to do the assessment with the System? How much time needs to spend per day with the System? Do I need any extra equipment to use the system? Is there a money back Guarantee for the System? What type of success does the system have? What type of research went into the Lose the Back Pain® System? What type of other exercises can I do when using the System? What makes you qualified to offer advice on back pain? What if I can not identify my imbalances with the System? Are all those testimonials real? How does the system reduce pain when you have a herniated disc, Spinal Stenosis or Sciatica even post surgical back pain? What other treatments will work while I’m using the system? I’m gun shy about moving the wrong way what do I do? I have had surgery and have screws is the system right for me? Who started the Lose the Back Pain® system and why? Do I need to be a Doctor to figure out the assessment and what exercise I need to do? What if I don’t believe that I can do it? How many times do I have to watch the videos? Do I have to wait till my back pain is gone before beginning? Why is doing very specific exercise so different? Once the pain is gone what can I do? Will I have to do the exercise the rest of my life? Can I go to the gym while using the Lose the Back Pain® system? Is on order to the exercises that you have to follow? How long are the video? How long does it take to get to AU CA UK S Africa? It is the only Self-Assessment and Self-Treatment program for all forms of neck, back and sciatic pain. The success of the program is based on addressing your issues at a root cause level. We also understand that your pain comes from three primary sources: 1) compressive forces, 2) soft tissue inflammation, and 3) the ever-present mind/body connection. And as powerful as this program is, you are encouraged to combine the Lose the Back Pain® System with other healing modalities. Yes, the DVDs are programmed to work in all regions of the world. We have sold the program to over 100 countries and they all work. The system works by having you identify how and where your body is out of alignment. You will be asked to do very simple physical and visual tests and assessments. Once you know how you are out of balance you can begin a very specific and targeted corrective exercise program based on your current condition… not your diagnosis. No. It is likely that your diagnosis will never change. However, if you can work toward a more neutral, more balanced and more stable body you can have your condition and not have as much pain and quite possibly even no pain at all. You can ask yourself this question: Have any of the healthcare professionals that you’ve worked with ever taken the time to assess you from a whole body perspective, told you how your pelvis is out of alignment, told you how your spine is out of alignment, told you which muscles are tight and which muscles are weak and then given you a targeted corrective exercise program to bring your body back into balance? If not, then you will benefit from the Lose the Back Pain® System. There is no way that you can’t. 2. Treat the Symptoms: You can’t correct the problem if your pain is so severe that you can’t move. 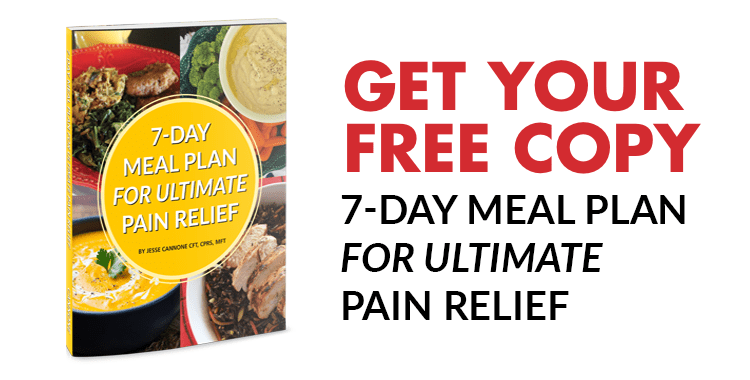 So in this step you’ll implement various strategies to help reduce and manage your pain so you can focus on correcting the dysfunction(s) that are responsible for your pain. 3. Treat the cause of the condition: In this step you work on treating the causes, which are the dysfunctions and the muscle imbalances, that created it. You will also implement additional treatments and strategies that are specific to the condition you may have been diagnosed with. What if I’m in too much pain to do anything? The Lose the Back Pain® System has 12 pain-reduction strategies that can dramatically improve your current situation and get your pain under control so that you can begin the program. Even if you are in great pain you can still perform the visual assessment phase of the program, then once you know your dysfunctions you can begin the more basic activities. Is the Physical version and On-Line versions the same? Is there an age bias to using the system? No. We have 90-year-old ladies on this program and every child on the plant should be aware of muscle imbalances so they do not grow up living with pain and not knowing how to address it. The assessment process should not take anymore then 60 minutes to finish. How much time does one need to spend per day with the system? The average amount of time is 15 to 30 minutes per day; some do more some do less. No, extra equipment is not needed but you are welcome to use gym equipment or home gym equipment if it helps you and if you can tolerate it. YES, there is a prompt and courteous refund (excluding shipping) given for up to 90 days, no questions asked. All that we ask is that you use the system for 30 days the best that you can before deciding if it helps you or not. Has the system been successful? The Lose the Back Pain® System has a 93% customer satisfaction rating over the course of the past 5 years. We are proud of this and work very hard to keep it. Extensive research has been performed on muscle balance therapy. We have taken all that research and knowledge and condensed it into a very simple and easy to use format that is easy to understand. We suggest that you not do any other exercise during the first 3 weeks of the system. This includes cardio, yoga and Pilates. If you must do some type of cardio we suggest that you change the angle of slope of the treadmill or elliptical, you could even try walking backwards. While we are not MDs, PTs, or DCs, Jesse and Steve have a combined 27 years experience working personally with back pain suffers. Jesse is a Certified Personal Trainer and Certified Post Rehab Specialist and Steve is a Certified Massage therapist and Physical Therapy Assistant. Over the past 5 years, we have refunded every customer that has asked for one. We have the best BBB (A+) rating you can have. Customer loyalty is our primary mission because we know the more you like us the more you will tell others about us. What if I cannot identify my imbalances with the system? If you cannot identify your imbalances you are welcome to summit your assessment photos to our support department for help. Our Technical Support Department number is 1(800) 216-4908 #3. YYes, we do not have the time or the creative imagination to think up all of those stories. The photos are of our clients and in most cases they are doing the activity they love to do thanks to the system. How does the system reduce pain when you have a herniated disc, spinal stenosis, sciatica even post-surgical back pain? The Lose the Back Pain® System reduces pain by working to bring the body back to a more neutral, more balanced and more stable position. When you are working toward that means, you will minimize or eliminate the irritation on the nerves and thus minimize or eliminate pain. It’s that easy and does not need to be any more complicated than that for all cases and all conditions. We have endorsed many different treatments that can be used along with the Lose the Back Pain® System. Now we know that many of you have said that "you have tried everything and nothing seams to work," but we don’t believe this is the case. In fact, we believe that the basis for a successful outcome starts with combining the Three Pillars of success: Physical, Mind-Body and Nutrition. I’m gun shy about moving the wrong way. What do I do? Slow, controlled and purposeful movements are always going to be best when performing a corrective exercise program. I have had surgery and have screws in my body. Is the system right for me? The first thing you need to do is to ask your surgeon if you have any restriction to physical activity. If the surgeon gives you the clearance to do muscle balance therapy™ hen yes you can benefit from the Lose the Back Pain® System. In early 2000 Jesse Cannone was headed for surgery on his knee and one month before surgery a trainer did a compressive assessment on him like no other medical professional had done before. He indicated to Jesse that he had something called muscle imbalances and because of the imbalances the knee was not working properly. So with some guidance and some specific corrective exercises his knee began to feel better and then healed itself. Jesse then wondered if that same principle could be applied to treating back pain and so he began to treat his personal training clients that way. In 2003 Jesse asked Steve Hefferon to help him begin research. They then put their findings into a systematized process that could be put on DVD. And thus the first version of the system was created and released in January of 2004. Is exercising safe when you have a diagnosed back pain condition like a herniated disc or spinal stenosis? In most cases, yes. But like any exercises program it is recommend that you get medical clearance first before beginning this or any other exercise program. Do I need to be a doctor to figure out the assessment and what exercises I need to do? No. The system is every easy to follow and understand. It is a step-by-step systematic process from the assessments to the exercises. However, if you feel you need help the Healthy Back Institute® does offer support with all of its products. If you do not believe that you can work with the system, I’m here to say you can and should try. However, if you hold the belief that nothing is going to help then surely nothing will. So your first task is to change your thought process. All it takes is understanding. How many times do I have to watch the DVDs? We suggest that you watch the DVDs the first time with no intention of doing anything… just watch and learn. Then watch them a second time and go through the process. You are then encouraged to watch them as many times as you whish or until you understand everything and are comfortable with the process. Do I have to wait until my back pain is gone before beginning? No, the program has 12 specific Pain Reduction Strategies that can be implemented right away after which the assessments can be done with photos if you are in too much pain to do anything physical. We have people tell us that they go to the gym and workout or they take yoga but yet, still have pain. What happens is that because postural dysfunctions are caused by very specific muscle imbalances, you end up doing a general exercise program and you will end up strengthening muscles that are already too strong and you can make your condition worse. The same goes for stretching a muscle that does not need to be stretched… it can make the condition worse. There is no guessing or speculation and best of all you will understand why and the why will help you build faith in what you are doing and that faith will keep you going. That is how you accelerate your recovery. If you have pain, that is your body telling you there is something wrong. Failure to listen to what your body is telling you, will only lead to the condition getting worse and in the long run more work will need to be done. You have two options: 1) find a therapist or trainer that can help you correct your imbalances, or 2) do it your self with our help. Will I have to do the exercise for the rest of my life? It is likely that you will always have the same postural dysfunctions as you do now. And while I do not like to tell anyone that they will have to do the exercises for the rest of their life, it is more likely that once you understand the concepts presented in this system it will become a way of life for you and you will work the exercises into your day. You will look forward to them! There is no way to determine how long it will take to get relief. With that said, please understand that the longer you have had your imbalances and the longer your condition has been systematic, the longer it will take to get results. The other consideration is that you do not get better by simply doing the exercises or stretches but rather as a result of the work that you put in and the gains in strength and flexibility that you make over time. It takes about 3 to 6 weeks for strength gains to start to make a difference. Though short-term relief is felt immediately. Is there an order to the exercises that you have to follow? No. There is not a specific order to the exercises. And if you find that you have more then one dysfunction, it does not matter which you work on first. How long are the DVDs and CDs? Each DVD is about 30 minutes and each of the 3 Audio CDs are 60 minutes long. How long does it take for the product to reach to AU, CA, UK, and South Africa? It takes about 2 weeks for International orders to get to AU, CA, UK, and South Africa. Now the customs in each country could and do take longer to process in some countries than in others. That we have no control over. We do ship Global Priority USPS. Sorry there is no tracking once the package leaves the USA. The Online Version of the Lose the Back Pain® System is complete and the content is 100% the same as the Physical Version. 1-(800) 216-4908 #2 (INT:240-780-5977) or Contact Us and ask for the Online Version UPGRADE. We will simply charge the difference between the physical and online versions to your payment method. 1.You will need a good understanding of how to use your computer. 2.You will need High Speed Internet access. 3.You will need Adobe Reader 8.0 or higher. What do I get with the LTBP system? How big are the files and how many do I download? Do I get unlimited access to the online version? Will the online version work anywhere in the world? Is there personal support with the online version? Will I get all of the advertised bonuses? Can I have the manual printed at a local print shop? Are all of the testimonials real? Access to all of our archived articles and videos. No, the videos are streaming media and not downloadable. You may watch them as often as you like, but they cannot be “copied” to your desktop. The Manual is 80Mb, the Workbook is 5MB, and the Audios are 65MB for all three. Yes, you get unlimited access to all of the material. Yes, the online version is Web based and will work on any computer system or web browser. YYes, as long as your systems meet the above requirements. YES, there is a prompt and courteous refund given for up to 90 days, no questions asked. All that we ask is that you use the system for 30 days the best that you can before deciding if it helps you or not. Yes, you do get 90 days of unlimited personal support. Yes, in Section 5 of the system all of the bonuses are listed and downloadable. Yes, simply put the PDF file on a disc and they will do the rest. We suggest that you get it spiral bound, which should only cost about $5. No, extra equipment is not needed. However, you are welcome to use gym equipment or home gym equipment if it helps you and if you can tolerate it. Over the past 5 years, we have refunded every customer that has asked for one, and we have the best BBB (A+) rating you can have. Customer loyalty is our primary mission with every customer because we know the more you like us the more you will tell others. Yes, we do not have the time or the creative imagination to think up all of those stories. The photos are of our clients and in most cases they are doing the activity they love to do–which is their biggest goal and our greatest success!